Pros and Joes were quick to bet the UNDER in the Bahamas Bowl between FIU and Toledo, with heavy wind expected at the open-air stadium in the Caribbean. In Friday's other bowl game (in much more pleasant Boise, Idaho), sharps are also making their move with a large spread between BYU and Western Michigan. Pros and Joes were quick to bet the UNDER in the Bahamas Bowl between FIU and Toledo, with heavy wind expected at the open-air stadium in the Caribbean. In Friday's other bowl game (in much more pleasant Boise, Idaho), sharps are also making their move with a large spread between BYU and Western Michigan. The Westgate LV SuperBook listed the total for FIU-Toledo as high as 68.5 on Friday, before bettors caught wind of the forecast. <a href="https://twitter.com/RodgersBC/status/1075457238326751233" class="embedly-card" data-card-width="100%" data-card-controls="0">Embedded content: https://twitter.com/RodgersBC/status/1075457238326751233</a> And now, scoring might be even harder to come by with the news midday Wednesday that FIU quarterback James Morgan won't play due to an injury suffered in the regular-season finale against Marshall (a 28-25 loss). Morgan, who led Conference USA in passer rating this season, left the game in the third quarter, but backup Christian Alexander led the Panthers to scores on his only two drives. <a href="https://twitter.com/SportsInsights/status/1075806554811719682" class="embedly-card" data-card-width="100%" data-card-controls="0">Embedded content: https://twitter.com/SportsInsights/status/1075806554811719682</a> The total had moved to 56 at the Westgate following news of Morgan's injury and is even lower offshore, with nearly 70 percent of the market on the UNDER, according to Sports Insights. Any time the ball is in the air (punts, field goals, kickoffs, pass attempts) the football is likely to be affected, which is not good for the now 7-point underdog FIU, which is 18th nationally in passing completion rate, 33rd in passing explosiveness and just 121st in rushing efficiency. The wind does, however, play into Toledo's offensive rush attack. The Rockets are one of the best teams in the country on the ground, ranking eighth in efficiency and fourth in opportunity rate (at least 5 yards per carry). Facing a FIU front ranked 115th in stuff rate, Toledo should be able to run the ball ad nauseam. __MORE:__ [2019 Heisman odds](https://www.betchicago.com/2019-heisman-odds-tua-tagovailoa-trevor-lawrence-jake-fromm) Friday's second bowl game has seen sharp action come in on Western Michigan (+12) in the Idaho Potato Bowl vs. BYU. The move is a little surprising given the BYU's strength of schedule, the [MAC's trouble in bowl games](https://twitter.com/TomFornelli/status/1075457185721794560) and WMU's troubles defending the pass. But the Broncos do have a clear advantage between the trenches. Western Michigan ranks 25th and 26th nationally in DL and LB Havoc Rate, respectively. Havoc Rate is a team's total tackles for loss, passes defensed and forced fumbles divided by total plays. Under interim defensive coordinator Lou Esposito, the Broncos held MAC champion Northern Illinois to just [262 yards of offense](http://www.espn.com/college-football/game/_/gameId/401020786) in a 28-21 win on Nov. 20. BYU lost to NIU, 7-6, in Week 9, when BYU QB Zach Wilson threw for 208 yards and was sacked five times. Getting the ball out quick will be key to BYU's success through the air. On the other side of the ball, WMU's freshman QB Kaleb Eleby and RB LeVante Bellamy need to be patient with BYU's bend-but-don't-break defense that excels at limiting big plays (eighth-best). The Cougars defense struggles in the red zone, however, and ranks 124th overall in havoc rate and 94th in sack rate. Eleby should have time to find speedy targets Jayden Reed and D'Wayne Eskridge. # 2018 college football bowl game odds ## Bahamas Bowl betting lines, odds and prediction ### Florida International vs. Toledo 11:30 a.m. CT Friday on ESPN __Point spread:__ Toledo -7 __Total:__ 56 __Betting line movement and games notes:__ The total's movement was due to sharps, the public piling on the UNDER and Morgan's injury, but FIU also saw support early, as the line as moved from 6 to 4.5 in under 24 hours on Wednesday. __S&P+ prediction:__ Toledo 35, Florida International 28 __MORE:__ [Finding the best College Football Playoff futures at various sportsbooks](https://www.betchicago.com/odds-shopping-college-football-playoff-futures) ### Florida International betting records, stats 2018 SU record: 8-4 2018 ATS record: 9-3 2018 O/U record: 7-5 S&P+ rank: 86 Off. S&P+ rank: 75 Def. S&P+ rank: 87 Special Teams S&P+ rank: 41 __Note:__ S&P+ rankings are an advanced data set of tempo- and opponent-adjusted components of the five factors of college football: Efficiency, explosiveness, field position and finishing drives. Per creator Bill Connelly, a fifth factor, turnovers, is informed marginally by sack rates. __Play and win:__ [Join our free contests](https://betchicago.chalkline.com/) ### Toledo betting records, stats 2018 SU record: 7-5 2018 ATS record: 6-6 2018 O/U record: 8-4 S&P+ rank: 48 Off. S&P+ rank: 17 Def. S&P+ rank: 95 Special Teams S&P+ rank: 31 ## Florida International vs. Toledo betting trends Rockets 3-7 ATS last 10 games vs. non-conference foes. UNDER is 4-1 in Rockets' last five bowl games. FIU is 9-4 ATS as an underdog dating back to last season. FIU is 4-0 ATS vs. a team with a winning record. ## Idaho Potato Bowl betting lines, odds and prediction ### BYU vs. Western Michigan 3 p.m. CT Friday on ESPN __Point spread:__ BYU -12 __Total:__ 50.5 __Betting line movement and games notes:__ BYU opened as a 12.5-point favorite at the Westgate on Dec. 3 and was bet up to 13 before sharp action on Monday dropped the point spread back down. The total has moved from 48.5 to 50.5 over the last three days as of Wednesday's writing. __S&P+ prediction:__ BYU 34, Western Michigan 25 ### BYU betting records, stats 2018 SU record: 6-6 2018 ATS record: 8-4 2018 O/U record: 3-9 S&P+ rank: 56 Off. S&P+ rank: 84 Def. 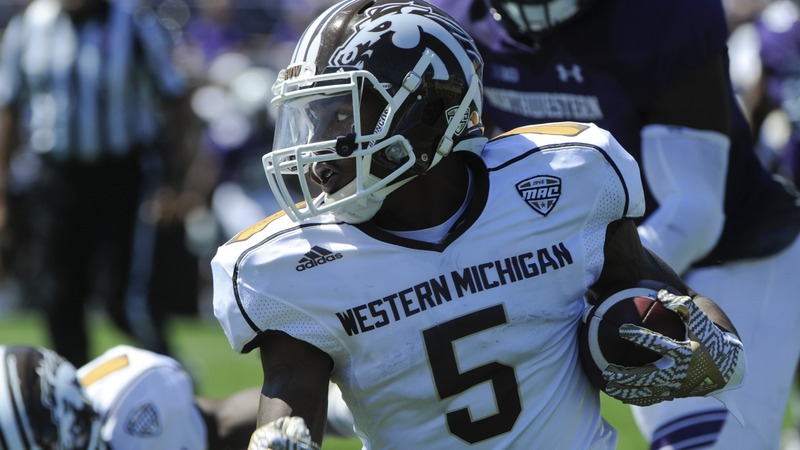 S&P+ rank: 30 Special Teams S&P+ rank: 90 ### Western Michigan betting records, stats 2018 SU record: 7-5 2018 ATS record: 4-8 2018 O/U record: 7-5 S&P+ rank: 97 Off. S&P+ rank: 40 Def. S&P+ rank: 106 Special Teams S&P+ rank: 130 ## BYU vs. Western Michigan Idaho Potato Bowl betting trends UNDER is 13-3 in BYU's last 16 games following an ATS win. BYU is 0-4 ATS in its last four bowl games. Broncos are 2-7 ATS in their last nine games following an ATS win. WMU faced Air Force in the Famous Idaho Potato Bowl in 2014, losing 38-24. BYU lost on Boise's [blue turf this season](http://www.espn.com/college-football/game/_/gameId/401016410), 21-16.